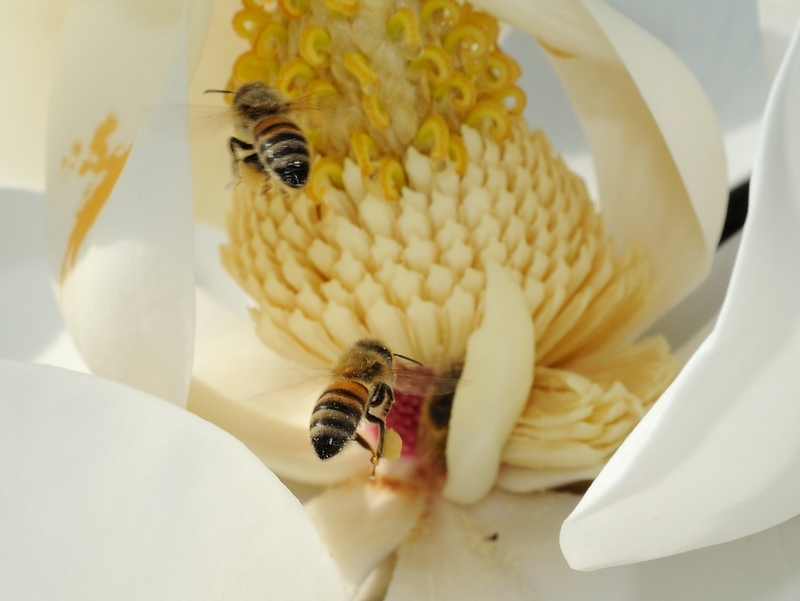 I thought I would add a couple of more shots of the bees working on the Magnolia blossom. I found a blossom that was still at the cup phase and took a shot to show what it was like before fully open. You can see that the pistils are green and the stamens are closed tightly to the stock. But, once the blossom begins to open, the colors change and the stamens begin to seperate as the pollen appears. 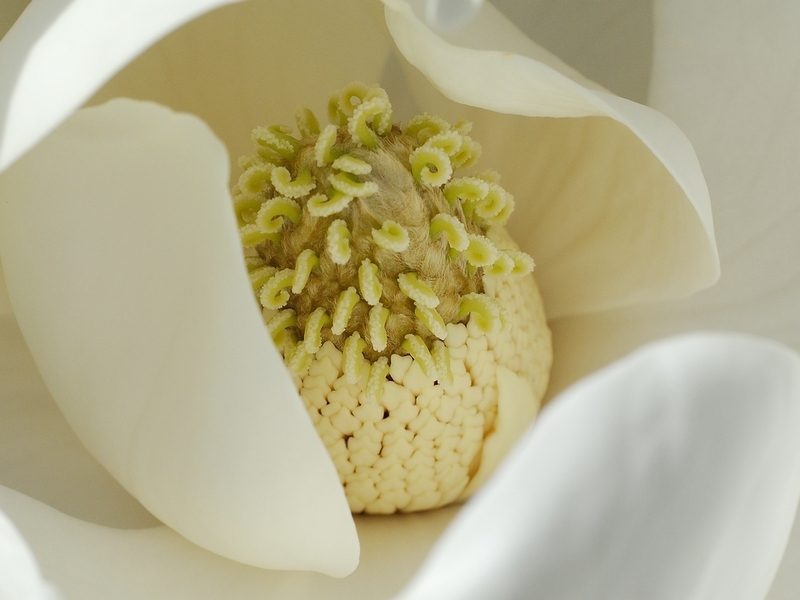 The large part that looks like an oversized stamen is actually a blossom petal that hadn’t fully developed. The bees kept trying to work around it to tear off the stamens but, it was really interfering with their efforts. I don’t usually interfere with my subjects (particularly those that can bite or sting, Florida is NOT a petting zoo.) but in this case, I flicked the underdeveloped petal off to let them have better access. 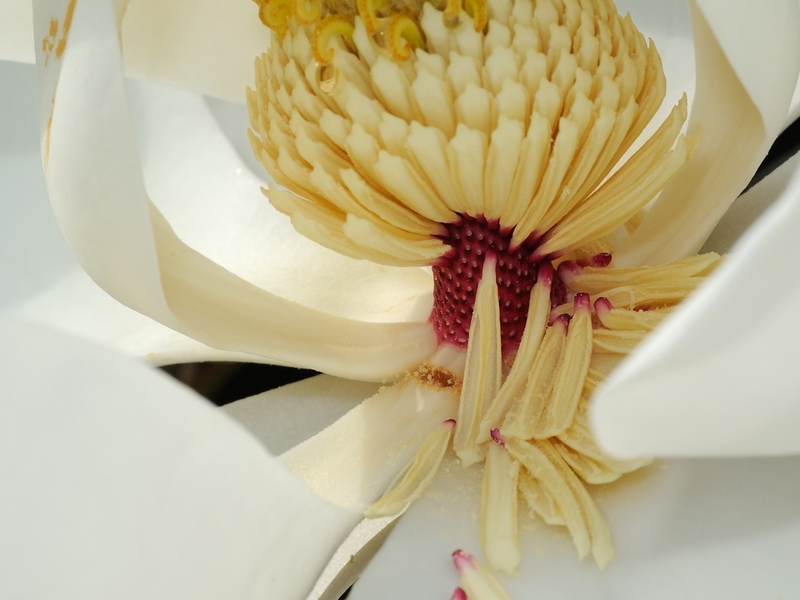 The bees quickly moved the backlog down into the cupped petal and got back to stripping the stamens from the stalk. 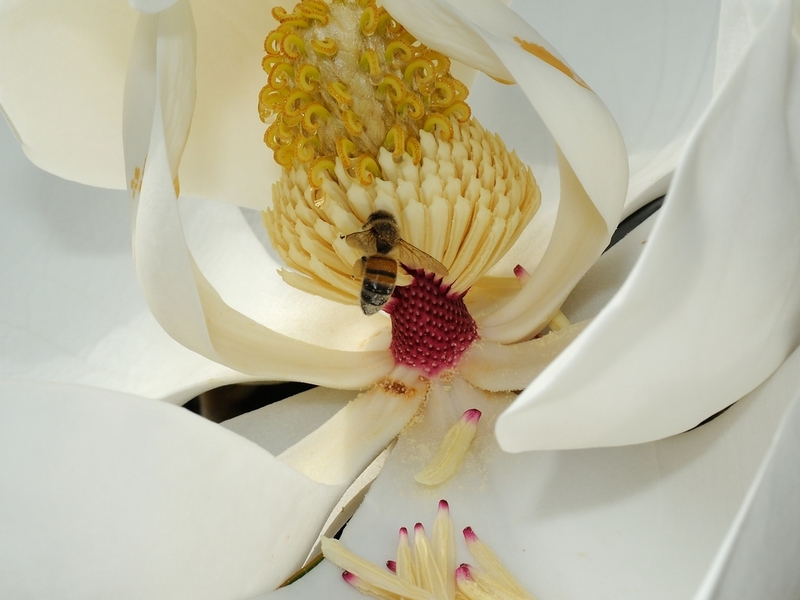 This entry was posted in animal behavior, Bug and tagged Bee, bug, Leitz ELPRO VI, magnolia, Nikkor 30-110mm, Nikon V1. Bookmark the permalink.